Smaller locations can face big-time demands on their wireless infrastructure. Whether working out of a small office or connecting to a public hotspot, users are often still accessing the same high-bandwidth applications and content they'd consume anywhere else. And they expect strong, reliable connectivity. Get industry-leading Wi-Fi performance in a package designed for smaller venues-with a price tag to match. How can you provide it without breaking the bank? 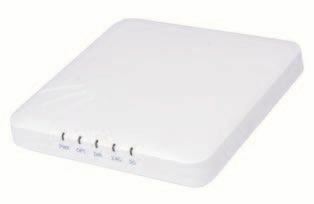 The Ruckus R320 delivers consistent, reliable 802.11ac wave 2 wireless networking at an affordable price. It features the patented Ruckus BeamFlex adaptive antenna technology for performance optimization and interference mitigation found in our premier access points, delivering superior user experiences at extended ranges. But it provides them in an ultra-compact form factor built for small venues-with a price tag to match. The R320 is an ideal choice for low-density enterprise and hotspot environments including smalland medium-size businesses, retail locations, restaurants, and multi-tenant small offices and branch offices. 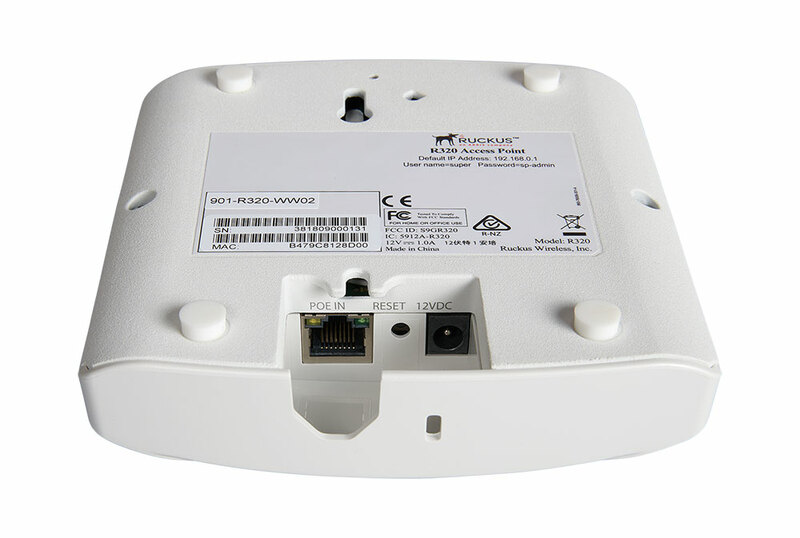 The R320 802.11ac wave 2 Wi-Fi AP incorporates patented technologies found only in the Ruckus WiFi portfolio. The R320 provides an ideal combination of features and performance for smaller environments. Additionally, it supports up to 256 clients per AP. Whether you're deploying ten or ten thousand APs, the R320 is also easy to manage through Ruckus' appliance, virtual, controller-less and cloud management options. The R320 provides great performance with extended range at an affordable price. Manage the R320 from the cloud, with on-premises physical/virtual appliances, or without a controller. Extends coverage with patented BeamFlex adaptive antenna technology while mitigating interference by utilizing 64 directional antenna patterns. Enhance your network with Cloudpath security and management software, SPoT real-time Wi-Fi location engine and analytics software, and SCI network analytics. Download the Ruckus ZoneFlex R320 Datasheet (PDF). Secure Mounting Bracket for ZoneFlex R710.